At garage sales, antique stores, flea markets, estate sales, anywhere and everywhere, it doesn’t matter. I love to shop and buy antiques. There’s just something about the beauty of how things were fashioned and made by hand, the care that went into that process. And also the years of use and knowing a piece was sitting in someone’s home, being used and loved all those years. I can almost see them and the piece takes on that life to me. I don’t just see a table or desk, I can envision the former owner sitting there, having their meals, writing letters to loved ones, etc. It moves me and this is what makes a piece valuable to me, not the dollar amount on the price tag. I love to buy antiques.. but I don't love to pay full price. Negotiating for a great deal is as exciting as the hunt for the perfect piece. Truth be told, any item is really only worth what someone is willing to spend on it, or pay for it. ​This doesn’t just apply to the things we choose to spend our money on. We also, subconsciously apply it to ourselves and to those around us. ​First, on ourselves, we assign our value based on what others “spend” on us. This isn’t about money, but all the other ways people spend on us. Like time, for example. We may feel the need for (or want) a specific someone to spend a particular amount of time or attention to us… a day just with us, a conversation without texting on their cell phone, undivided attention, or in some cases, any attention. If the other person fails to do this, fails to “spend” the time on us, we equate this to a loss of our value in their estimation, and in ours. Thinking, “I’m not valuable enough to them to even invest a little time on me”. Likewise, we can also be leaving those around us with the impression of our lack of value of them because we are not “spending” on them. This isn’t always intentional and isn’t always a true expression of our estimation of their value. It is easy for us to base our value on what we interpret as other people’s investment in us, especially those who are close, those whose opinions we esteem, those whose love we seek. ​It’s curious to me, then, that most days while I am looking for the validation of my value from those around me, I completely overlook the true mark of my value from the only one I know will and does love me unconditionally every day… Jesus Christ. ​Jesus Christ assigned and secured my value (and yours) .. everyone’s .. with one payment, the ultimate payment – His life. 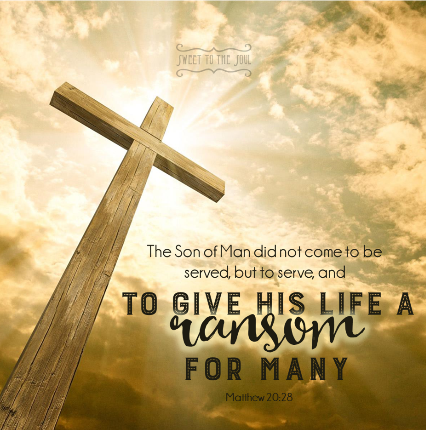 He knew what price was attached to each of us; He knew what would be required for each of us as payment for our sin.. our life. ​Jesus assigned and secured our value that day when He paid full price, when He paid the ultimate price. ​Thank you Lord for your unfailing love. Thank you for seeing me, flawed, ungrateful and wallowing in my sinful nature, seeing all the ugliness of my life and yet seeing me through your love and still finding me valuable, still willing to pay the price, the full price for me. Forgive me for looking to other sources to feel valuable. Keep me always under your love and guide me day by day as I learn to rest assuredly on your valuation of my life and strive daily to honor You. In Christ Jesus’ name, Amen. I am grateful Jesus paid for us in 'full' with His Precious Blood. Thank you for sharing.